This is the third image in the set of 28 Solargraphs now on exhibit at the Glickman Family Library through May 29. I started this project just below the source of the Kennebec River with Harris Station Dam and Indian Pond. In reviewing the images for this series of posts, I am working my way downstream. 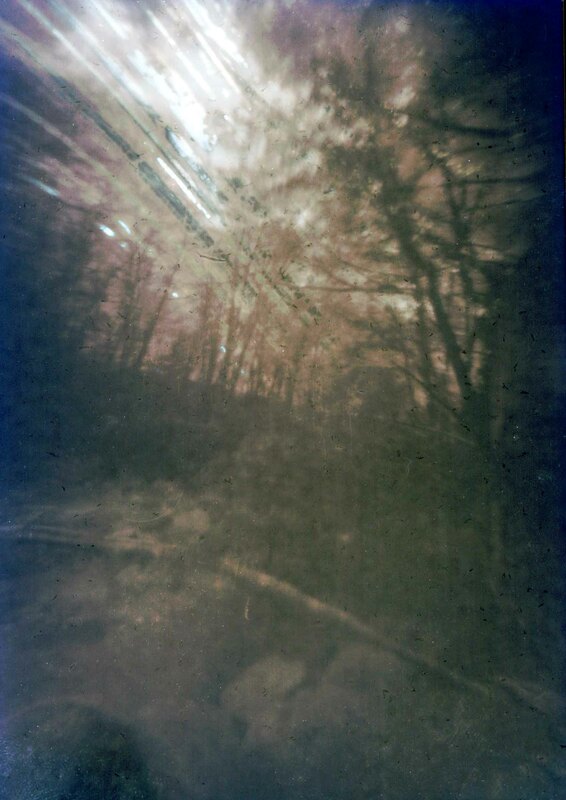 Day three is the image I captured in Caratunk on Mill Stream. The sunlight streaks across the sky as it is chasing its way through the leaves and branches of the thick growth on either side of the stream that feeds into the Kennebec.